As the cost of lumber continues to rise, reusing reclaimed and salvaged wood is suitable for many types of woodworking projects. I've used bits and pieces of found wood and salvaged lumber to make a variety of different projects ranging from birdhouses to planting boxes and compost bins, jewelry boxes to shelves and cabinets, cutting boards to carvings and wooden toys. Once I started looking and asking around, finding sources and places to look for old wood was relatively easy. However, converting an old board into usable lumber can take some time and effort. Pieces of salvaged wood often needs to be cleaned of dirt and grime, the rusty nails and stripped out screws must be removed, and any split or damaged sections of wood gets cut away. Though used wood and salvaged lumber isn't suitable for every project, using reclaimed lumber is a great way to stretch your woodworking budget, keeps good wood from heading to the landfill, and the character of aged wood makes for interesting DIY and scrap wood projects. And there is a real sense of satisfaction from giving new life to an old piece of wood. I'm always on the lookout for home remodeling projects, building renovations and new construction sites as potential places to look for old lumber and salvaging pieces of scrap wood. The demolition work needed to make way for additions and renovations can generate a lot of wood waste, and some of that waste can be salvaged and reclaimed as usable lumber. When asked politely, many residential contractors will allow you to search through their dumpster or scrap pile for reusable treasures. After getting permission, I look for discarded exterior trim boards made of cedar or pine that can be rescued and reused to make scrap wood projects such as window boxes and birdhouses. In renovation debris from older homes, I've rescued old oak and walnut boards along with interesting pieces of interior trim and lengths of wide pine boards. New construction sites typically don't generate as much scrap as remodeling jobs, but high-end homes can offer usable scraps of desirable woods such as oak, cherry, maple and other woods. Remember, always ask permission before searching through any job site for scrap wood. Old furniture and bookcases that's destined for the landfill can often be broken down and salvaged. An old toy box that was tossed to the curb gave up wide panels of beautiful hard maple. A discarded bookcase provided enough material to make a planter box plus enough smaller pieces to build a few birdhouses. Several nice slats of teak and ash from a damaged plant stand were recycled into new cutting boards. A pair of old raised panel doors, taken off the hinges and left in an old barn, yielded some nice pieces of dense pine that became a pair of side tables. And save those old wooden closet shelves. A Honey-Do project to upgrade our closet shelving into a new modular system provided several wide pine boards. Before carrying off a big piece of old furniture to re-purpose into the next scrap wood project, check to make sure it is made of wood that is worthy of the time and effort to take apart and salvage. Hardwood and softwood planks are desirable and reusable, but don't waste time with furniture made from cheap veneer or damaged particleboard. Flea markets and tag sales are another source for old furniture as well as reclaimed lumber and barn wood. I've also found a few good buys on Craig's List. Seats from an old wooden rowboat produced another source for scrap wood projects. The homemade boat was left to rot in the weeds, and the current owner was happy to have it hauled away. The original builder splurged to make the seats and transom from mahogany, and the aged patina on the sun-bleached wood was the perfect material to recycle into a small bench for our deck. 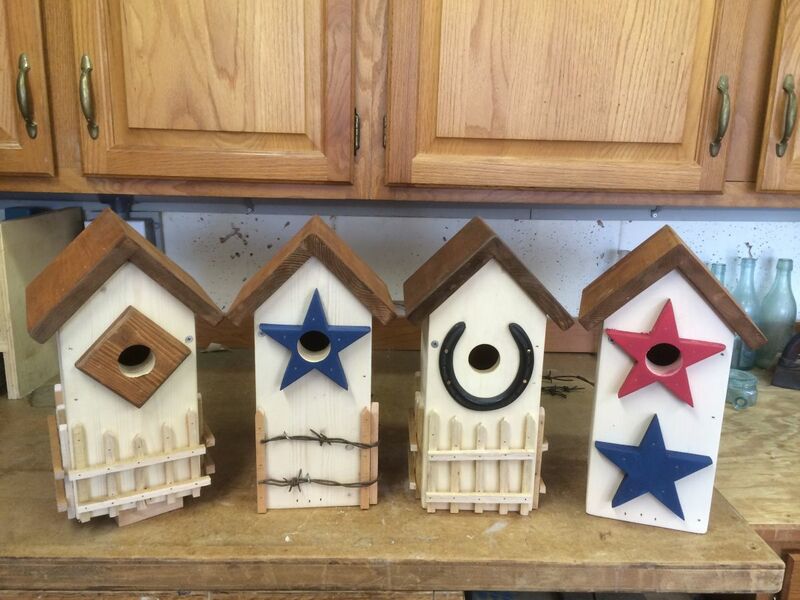 The leftover pieces were incorporated into a couple of more birdhouses. Don't overlook the town's recycling center and transfer station. Increasingly, municipal recycling centers are separating construction debris, primarily to reclaim metals and plastics. Some locations have designated ares where folks can leave their old furniture and other useable items so it can reused rather than tossed into landfill. Most of the scrap wood waste gets chipped and hauled off to the incinerator or trucked to the landfill. Salvaged lumber finds at the town transfer station or local recycling center have ranged from old wood furniture to solid panel doors, from oak flooring and old stair treads to cherry cabinets and cedar fence boards -- great raw material for more scrap wood projects (including more birdhouses!). The ubiquitous pallet is a good source of materials that is often suitable for making into a DIY scrap wood projects, but be selective when choosing a pallet to salvage. Wooden pallets are filled with nails that are difficult to remove and it often takes a considerable amount of effort to disassemble a pallet. Don't waste your time with stained, painted, dirty or broken pieces. Look for pallets from companies that import shipments from other countries - pallets are made from local lumber, and wood that is common in one country can be desirable in another. Salvaged hardwood from a pallet shipped in from overseas can yield some nice pieces of free lumber for DIY scrap wood projects. Some imported pallets are made from hardwoods that defy classification, and can make for interesting woodworking projects. 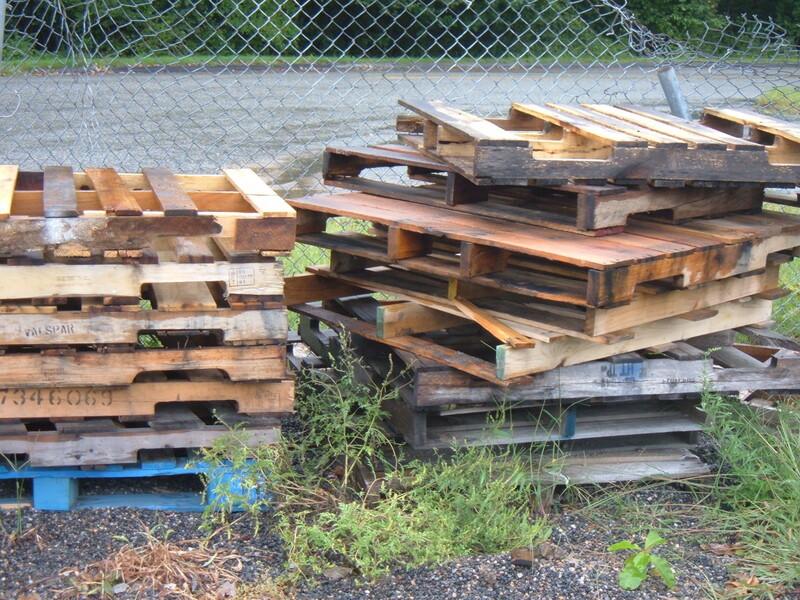 An imported pallet found behind a local business was actually made with mahogany slats. There was enough wood to make several scrap wood projects including a couple of butterfly houses for the garden, plus a couple of thicker pieces of mahogany from the cross-members that were perfect for wood carvings. * Do not use salvaged wood that shows any signs of damage from termites or powder post beetles. You do not want to risk bringing these critters into your shop or home. * Inspect reclaimed wood carefully for any foreign objects, and use a metal detector to find all of the nails and screws which can damage cutting edges and cause injuries. * Thoroughly clean pieces of salvaged wood with a paint scraper or a stiff bristle brush to remove any dirt or loose paint. * Warning! E. coli and other bacteria as well as chemical residue can remain on shipping pallets. 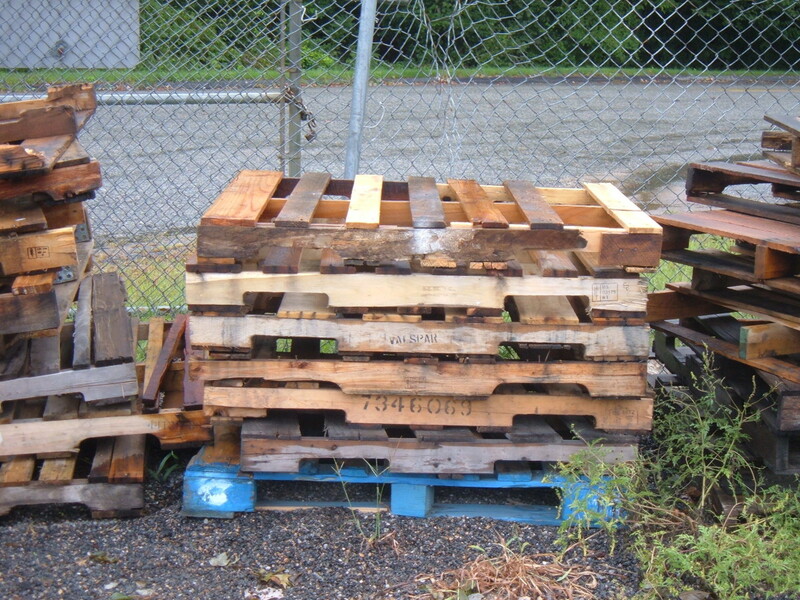 Be very careful and selective when using pallets for salvaged wood projects. Clean off the salvaged wood with a stiff bristle brush to remove any dirt or loose paint before bringing it indoors, and let lumber dry in the shop or garage for several days to remove any moisture. Most salvaged lumber has already lost its original moisture, but the wood may be damp from exposure to rain or snow. Inspect the wood carefully for nails, screws or any other foreign objects that can damage cutting edges and cause injuries. A metal detector is very useful for finding and removing bits of steel and iron. Mark the useable sections of lumber, and cut away split or damaged sections. Have You Salvaged Old Lumber for DIY Scrap Wood Projects? This attractive birdhouse - or more accurately, this nesting shelf - is a DIY Scrap Wood Project made from pieces of salvaged wood. The ends and bottom pieces of the birdhouse were cut from a cedar corner board removed during a remodeling job, and I salvaged the milled side pieces from the railings of cedar play set. A few slats from an old pallet provide the roof pieces and door trim, and the metal stars tacked to each of the ends are re-purposed Christmas ornaments. Resembling an old barn or rustic farm stable, the aged wood has a nice weathered patina from years spent outdoors. The shelf nesting box designed to attract robins. In the winter, small birds will take refuge in the birdhouse from snow and chilling winds. Building a birdhouse requires only basic woodworking skills and hand tools, and using salvaged wood keeps useable lumber out of the landfill. And because I salvaged all of the wood for this Scrap wood project, the cost of the lumber is $0. 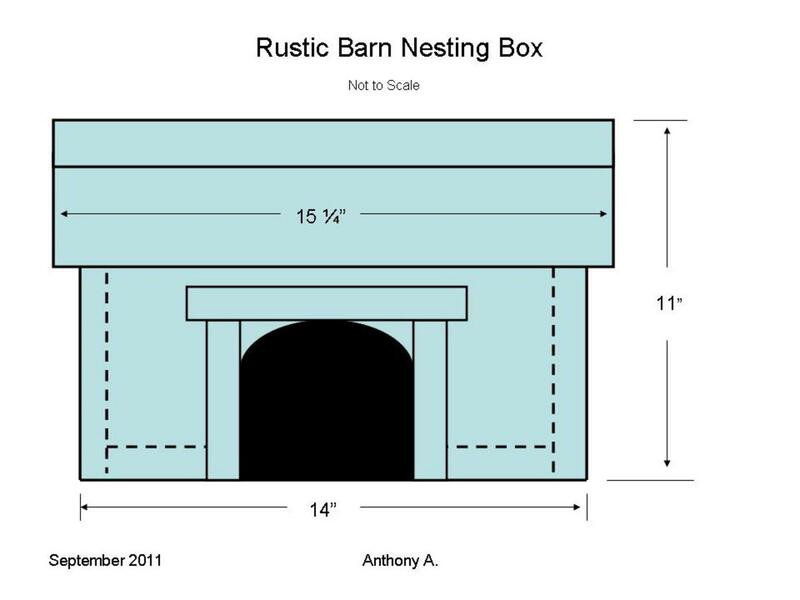 The size of the nest box is not critical, and can change to accommodate the pieces of salvaged wood in your lumber bin. 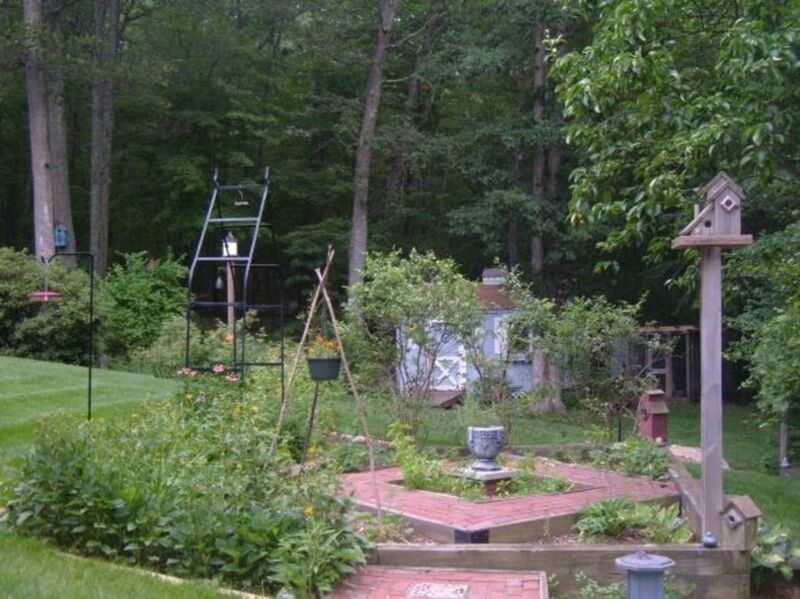 Likewise, the design adapts easily into a platform style birdfeeder to attract cardinals and mourning doves, or into a birdhouse for cavity nesting birds such as wrens and chickadees. Mark and cut the end pieces to form the 45-degree gables for the roof. Rip one edge of the side pieces to match the 45-degree slope of the roofline. Position the sides together with the end pieces. The exact height of the end pieces is determined by the combined width of the side pieces. In this case, after milling the 45-degree bevel, the sides are 7-½" high. With weatherproof nails or screws, attach the sides to the end pieces, taking care to line up the beveled edges at the top as well as the bottom edges. Measure and mark out the opening for the nesting shelf, then use a jigsaw to cut out the opening. Use s rasp, file or sandpaper to round over the edges and smooth out the curved top of the opening. Cut off the tips of the corners on the bottom piece to allow the birdhouse to drain. Press the bottom piece into place inside of the end and side pieces, and then secure it with nails or screws. Lay out the first layer of roof slats, starting at the peak of the roofline and then working down towards the side. The roof slats should overhang the side by about a 1-½" but the exact size is not critical. It is more important that the roofline and overhang fits the birdhouse and looks good to you. Depending on the width of the slats, it may be necessary to cut the width of a slat to fit properly. Nail the slats into place. Repeat the lay out of the slats on the second side, overlapping the edge of the top slat on the first side as shown in the diagram. Lay out the second layer of roofing slats, using care to overlap any joints on the lower level. Rip the roof slats to the proper width to accommodate the overlap, and to keep both sides of the roof even. Cut the door trim from sections of leftover roof slats. The uprights are cut long enough to raise the cross member above the curved opening, forming the recessed doorway detail. Nail the trim pieces in place. For a little extra country charm, tack a couple of metal stars or similar found objects to the ends. In this case, I left the painted white board exposed, and added a blue and a red star to each end for a patriotic theme. An old horseshoe, bits of rusted barbed wire and slats from a discarded pallet gives a rustic style to the basic birdhouse design. A little leftover paints and stains along with a few re-purposed bits and a bit of creativity adds whimsy and interest, creating a unique rustic cottage birdhouse. 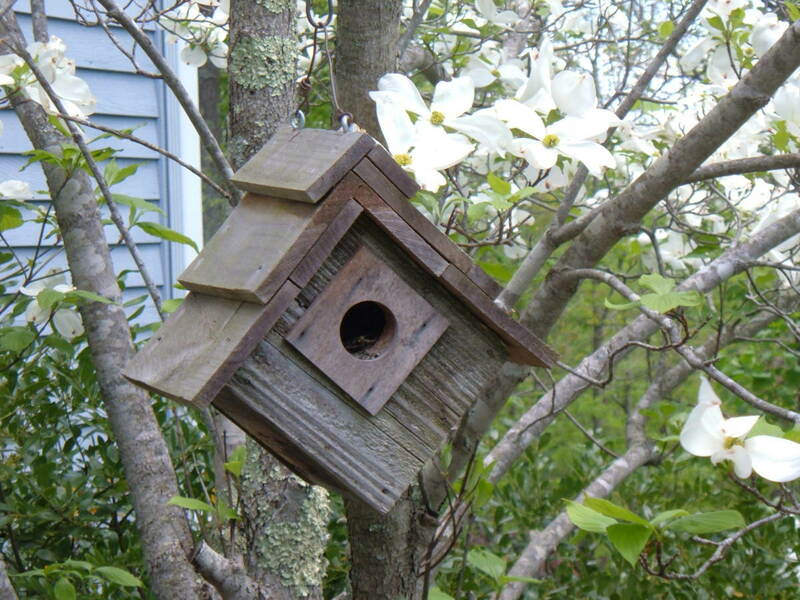 These birdhouses are fully functional, and made to fit the bird's requirements. Only the exterior is stained and painted, leaving the natural wood on the interior of the nest box for the safety of the baby birds. This butterfly house is made from pieces of mahogany that I salvaged from an old pallet, and then left to weather naturally to a warm silvery gray color. Making garden butterfly houses is an easy weekend DIY scrap wood project that requires just a few pieces of salvaged wood and some common hand tools. Butterfly houses are great projects for making from reclaimed lumber or scrap wood, then painted in bright colors. While entomologists and biologists question whether or not butterflies will actually use butterfly boxes to take shelter from the storm, every gardener will agree that butterfly boxes look great in the garden. 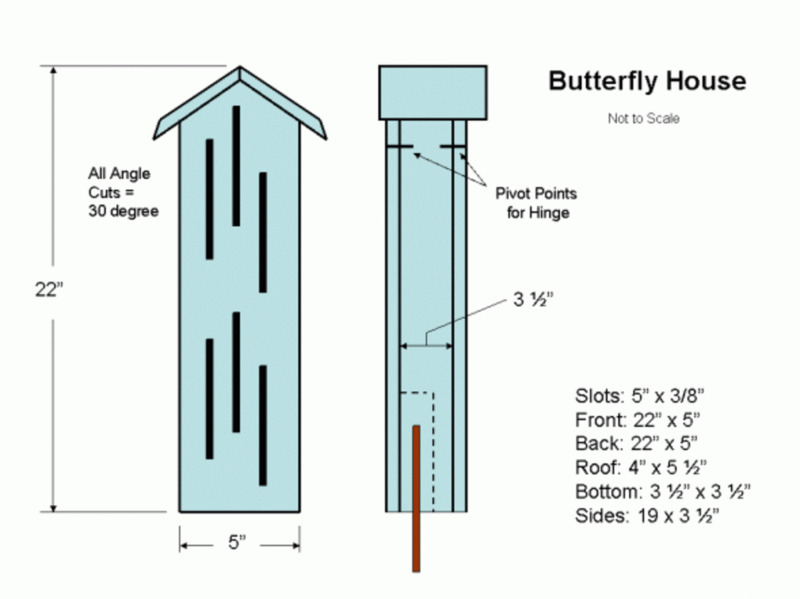 Make two butterfly houses, and give one as gift to a gardening friend. This little wooden birdhouse is attractive and easy DIY Scrap Wood Project. Building this hanging wooden birdhouse requires only basic woodworking skills and hand tools, and re-using old wood helps to reduce the expense and keeps useable lumber out of the landfill. 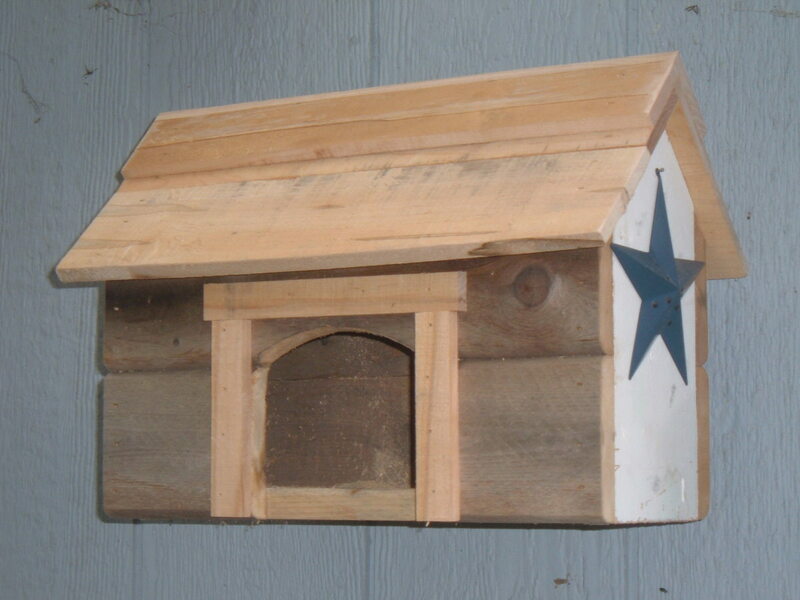 An exterior cedar trim board rescued from a remodeling job provided enough material to make several small birdhouses. The roofing and entrance hole guard was cut from the hardwood slats of a discarded shipping pallet. To build this little birdhouse, start by cleaning off the old wood with a stiff bristle brush to remove any dirt or loose paint, and let it dry indoors for several days before beginning the wooden birdhouse project. Most re-used wood has already lost its original moisture, but may be damp from exposure to rain or snow. Inspect the wood for nails, screws or any other foreign objects which can damage cutting edges and cause injuries. A metal detector is very useful for finding and removing bits of steel and iron. Mark the useable sections of lumber, and cut away split or damaged sections. Cut the wood stock into the following dimensions. The cedar board used to build this birdhouse was 1" thick (known as a 5/4 thickness). If using ¾" thick stock, increase the width of the side pieces to 4-¾" wide. Position the sides together to form a square as shown in the diagram. Nail or screws the side pieces together. Center and drill a 1-½" hole through the front section and the entrance guard. Position the front section in place, and attach to the sides with nails or screws. Attach the entrance guard on a bias to form a diamond shape. Then attach the back section of the wooden birdhouse. Lay out the first layer of roof slats, starting at the peak of the birdhouse roof and then working down towards the side. The roof slats should overhang the side by about ½". Depending on the width of the slats, it may be necessary to cut the width of a slat to fit properly. Nail the slats into place. Repeat the lay out of the slats on the second side, overlapping the edge of the top slat on the first side as shown in the birdhouse diagram. Lay out the second layer of roofing slats, using care to overlap any joints on the lower level. Repeat with the third layer, again using care to overlap and joints in the layer below. Hang the finished wooden birdhouse using two galvanized eye bolts, screwed into the roof peak approximately 1-¾" from each end. Use a short section of reclaimed and stripped copper electrical wire to hang the birdhouse from a tree or pole. This little bulldozer is made from several pieces of different hardwoods leftover from other projects that I found in my scrap bin. The base section is made of oak, the radiator is a piece of cherry, and the seat and the trunk lid were cut from a thin piece of teak. 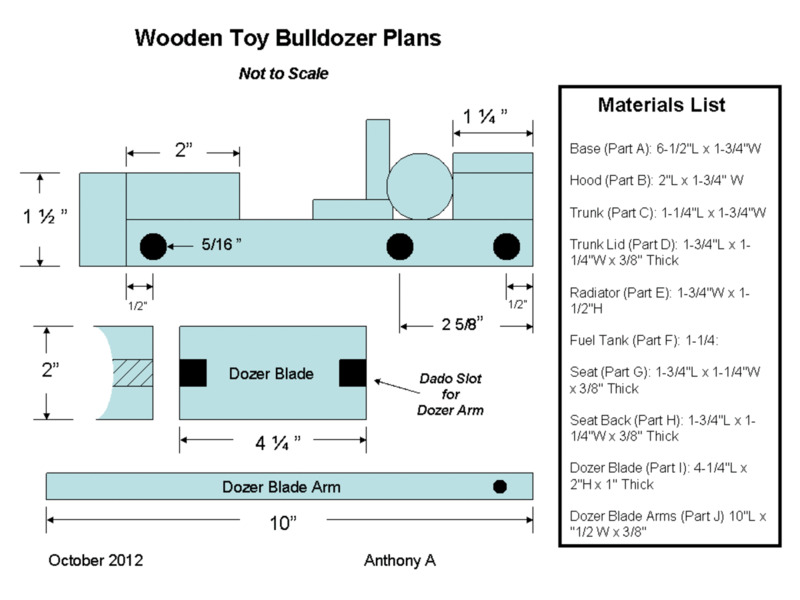 The dozer blade was shaped from a scrap of mahogany, and the dozer blade arms are thin strips of oak. I prefer using hardwoods like oak, cherry and walnut for making wooden toys over the softer woods like pine because the toys hold up better under use, the hardwood grain looks good when finished with oil, and hardwoods are less likely to splinter -- an important consideration when making wooden toys for young children. The special feature of this wooden toy bulldozer is the back & forth action of the Dozer Blade that results from pinning the Dozer Blade Arms to the rear wheels. As the bulldozer is pushed along and the wheels turn, the pinned arms are pushed forward and then pulled back by the rotating wheels. Create a focal point in your garden by elevating a favorite plant or container above the rest. This plant stand is made of recycled bricks, takes just a few minutes to build and cost less than $7. Start with clearing out a flat section of ground. 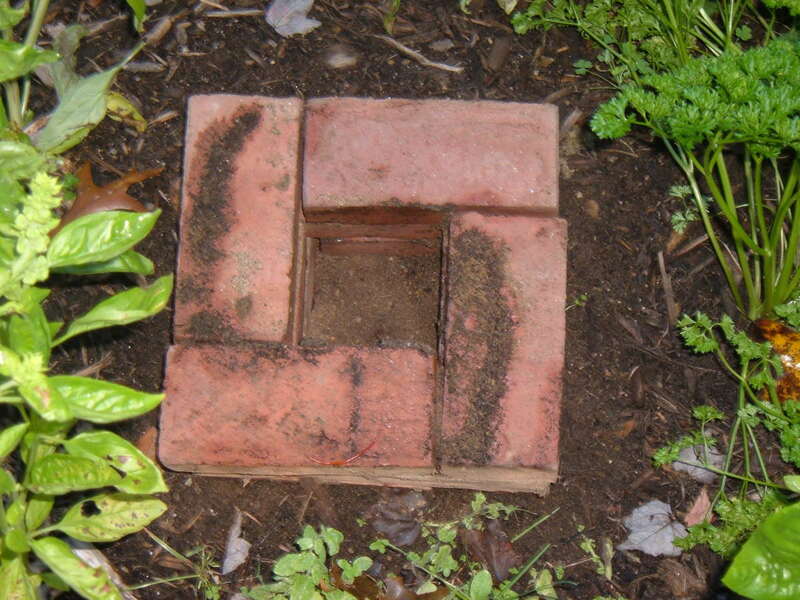 Add a little sand or pea gravel to create the base, and then tamp it down to form a firm footing for the bricks. Lay the bricks out flat, and use a level to… well, to check for level. Once the area is flat and level, lay the bricks out in a square pattern. A few light taps from a hammer will set the bricks down firmly into the sand base. Check the bricks for level in all directions. If a brick is too high in one spot, gently tap the brick down a little at a time and check again for level. If a brick is too, add a little sand underneath and tap the brick down again. After the first course of bricks is in place, lay the second layer on top, with the bricks over lapping the joints. Overlapping the joints makes for a stronger and more visually appealing structure. After laying the second course of bricks, check all of the way around again with the level. Continue adding rows of brick until you reach the desired height. Because the joints are not reinforced with mortar, the number of brick layers should not exceed five or six rows high. My column is four layers tall and is quite stable. When you reach the desired height, cap the column with a 14" cast concrete paver. I chose a light gray concrete colored paver to compliment the old red bricks and the back concrete planter. 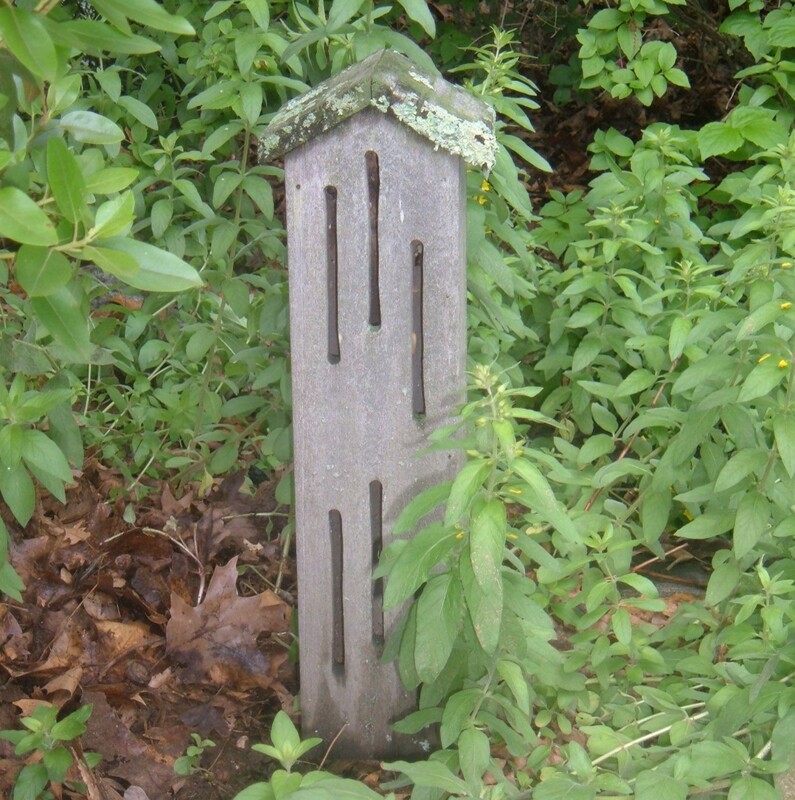 A piece of salvaged slated or a re-purposed stepping stone would also work well as a cap stone. The pillar is elevated the planter, creating a focal point and visually finishing off the small herb garden. This project is just about as quick and easy as a garden project can be, and the results look great and will last for years. If you do not need a plant stand, the brick column will work well for a sundial, small bird bath or a favorite garden statue. Salvaged and reclaimed old wood sourced from barns, water tanks, warehouses, buildings and structures. Sources include old beams, reclaimed flooring, barn doors and slabs of exotic hardwoods. Vermont WildWoods is a specialty wide plank flooring and millwork company dealing exclusively with the salvage and manufacturing of disease killed butternut trees for the architectural design industry. Tell Us About Your Salvaged Material Projects! These are great ideas for creating something from salvaged lumber! My husband built log stores out of old pallets - very sturdy. Also, a builder friend of ours was doing a big job in an old building and replacing a very old roof. It had used wood and he was going to burn it. We needed some wood and went to fetch some from the pile. My husband cleaned it up and realised it was red and yellow pine! we told the builder and he sold it to an architectural salvage firm instead of burning it. My husband built a fitted desk and wardrobe in our daughter's room. It is now doing the grandchildren. I am looking for old driftwood to make picture frames from. I use sticks that I find on nature walks to make fairy wands. My sister and I beaded them and added silk flowers and ribbon to them. Kids love 'em! I used recycled wood to build a bar for my husband. It is awesome to build something and even more awesome to recycle. I used to salvage a lot of lumber from the local landfill. I made a garden shed for about $40 in materials cost -- I had to buy the rolled roofing. I have seen sheds that size go for 2500 dollsrs. Go recylcing! Pallets are a great source for hardwoods. A friend of mine covered the costs of extending his house by selling the wood his old rotting barn was made from to a salvaging company. Salvage lumber projects are awesome - I'm a frequent user! Recycling at its finest. Salvaged Material Projects are really fun thing to do because during my childhood days my grandfather used to make wooden bird houses to be hanged onto tree branches where birds can dwell easily. So being a child we were thrilled by the idea and day in &amp; day out we kept gazing this bird house to find out new bird has come in or not. We've been recycling wood pallets into garden planters and wooden walkways. I love your birdhouse idea! 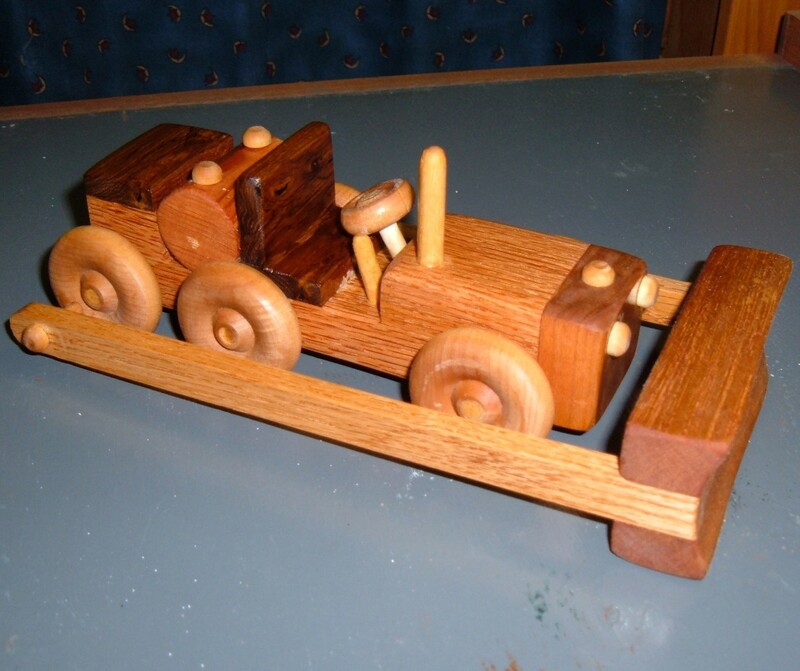 Thank you for sharing all these wonderful ideas for turning scrap wood into new useful items. Just stopped by to wish you an amazing spring. It is summer in just a few days and our garden is in. Now we can start to play out in the yard because I have a craft project that needs finishing and it is on my list to get outside and get it done. I was given a pallet when I purchased some mulch this spring and recycled it into a footstool for my husband wood Adirondack chair and stained it the same color. It looks like a matched set. A partner and I have been doing some small building demolition, and collecting the good used timbers and and lumber. We have a barn full of different otherwise waste wood and lumber. I do some small projects with, mostly we resell to builders and furniture makers locally. Great lens! These are some gorgeous projects. Love the birdhouse! We use a lot of scrap wood and other salvaged materials in the house and the garden because we're too lazy to go to the dump ;) What started as a way to avoid the dump run has become a hobby, as we've found that creative use of salvaged materials is a great way to bring unique little touches to our surroundings. ps....Craigs list is full of scrap wood for the taking. I had a friend who went to work for a door company and she used to bring me a trunk load full of scrap wood every day. All types of wood and all sizes. I was in wood heaven. I never let a piece go to waste. I would eventually find something to make out of every piece. It jump started my woodworking hobby. Spring is right around the corner and that means that there definitely will be a lot of people getting ready to haunt out some salvage lumber for their woodworking projects. Hope winter is almost over where you are. Some folks sure got hit hard this year. I do have a bunch of scrap wood so some of these projects are very doable. Very useful. I have friends who use pallets as they are for a dog fenced-in yard. It does the job! This just gets better all the time! I noticed that one of the things needed when using salvaged wood is inspiration and you serve that up in a generous portion here! I thoroughly enjoyed reading this lens. I love working with wood and it makes sense to use recycled material. What a great lens.... I have tons of pallets. I bet I could make a cheap garden shed out of a few pallets. Thanks for the inspiration!!! Great resource ideas. I'm hoping to build a chicken coop from mainly salvaged materials next year, these ideas will help. Also I've never seen butterfly houses before, really cool looking. Great ideas. I've seen some great projects using recycled barn wood. The weathered look gives it a rustic feel. These are so beautiful! No wonder they charge now for these old wood. And even go through the trouble to make new wood look old! Now I want to build a bird-house from that ol stack of wood in the shed! Some great ideas here. I work with reclaimed wood to make small pieces and add new flavor to some old pieces I get at flea markets. You've given me some new ideas, thanks. Stopping by to see what you've added and discovered the pallets video, cool! We have beautiful smooth shelves in our linen closet made from an old headboard and footboard. You presented some really great ideas here. Just stopping back to say hi and take another look at this valuable recycling - salvaging lumber project article. There is so much that can be reused and it makes such a difference to our environment. Plus many older woods are so very beautiful and often wind up in the trash when they should not. I love you ideas. This lens speaks directly to my manner of life since childhood. My dad was into remodeling and salvage and my brothers and I were on many of his jobsites pulling nails and cleaning bricks. When he sold the farm, almost 100 tons of old lumber was also auctioned. I recently salvaged brick from a 19th century house that was demolished in my neighborhood and am building projects from them. I'm definitely going to be a regular visitor of your pages. We just built a chicken coop out of old wood pallets and I'm in the process of painting it. Then I plan to build a lens on it. Thanks for the other great ideas. So many good ideas. I love the idea of recycling. Love all the tips in here. We reuse old bricks and old wood in our garden, and for showing off our tool collection. Tipi always manages to squeak here just before me lol. I guess she knows a great article when she sees one. Thank you for all your DIY advice. It is so nice when a handyman shares his knowledge with those who are not quite as handy. Hopefully many more people will choose to recycle used wood rather than allowing it to wind up in the landfills. Love it! I've got a lot of old wood around the side of the house that I'm going to inspect and reuse. Thanks for the creative ideas! Totally amazing ideas and resources. Will start tomorrow on my own projects (I just happen to have a couple of pallets laying around)! Great lens. My granddad used to make windmills out of old wooden fruit boxes. He was of the generation that would repair and reuse nearly everything. It is good that things are starting to come round full circle. After all, why throw out things that can be reused. Fabulous, I've never thought about any of this. Yet another dimension to my new hobby! Never thought of pallets, but it makes perfect sense. I am not a wood worker but I find lumber in the dumpster often. I mainly use it to hold metal when I drill or cut. Sometimes I incorporate wood into my metal art. I once found an ornate wooden table in the dumpster. I got rid of the legs, kept the wood top and welded up a table from steel tubing. These are some nice DIY wood crafts, its amazing all the things that can be done with wooden pallets. Very, we used recycled wood to build a pier at the lake. I love the barnwood nightstand. That is right up my alley. There are so many wonderful possibilities for reusing salvaged wood. You get a wonderful project with almost no cost at all....now that is a great deal and very green! Know this, O worthy and diligent lensmaster;With accomplishment you've earned a tryster.As a token of immense appreciation expressed,A squid angel leaves this lens heartily blessed.On a rendering that is sparkling in its own right,Propagating an appealing thought well and quite;If you were to notice a slender shimmering crust;From the angels wand, it is a spill of stardust. Every time I see old pallets with a "free sign" I want to pull over and take them, but I've never had any ideas what I would do with them, you've inspired me to do it next time! You know, I've always wondered what to do with the salvaged wood that the previous sellers left in my garage and out back. I stacked the oak wood next to one of my water oaks, but am debating ... now what the heck do I do with it??? Wow, what a nice collection of ideas on how to use salvaged wood! And your craftsmanship is beautiful on your projects. Some very creative projects here. I've made a coffee table out of a 100+ year old machinery shed floor. Now that is tough timber! I went through a lot of planer blades:-) There is a great deal of satisfaction in making something useful out of reclaimed timber. Great lens I love using old reclaimed wood for my projects especially old fence rails as they are well seasoned and the imperfections become such a feature on the finished piece. The best wood to use is the wood we can recycle and make something practical and useful from. Sometimes, its the older woods that are the most beautiful to use. I like all of your lenses that I have seen Anthony, they all are helpful and informative. I like the old pallets. My son has a stack of them in his yard that he is using for various projects, and I have my eye on some of them for some things too. Absolutely love using recycled wood, in fact I've got a pretty large cache of it (enough that I have a hard time getting into &amp; out of my pickup in the garage) to play with when-ever the creative bug hits me. I was just walking around your salvaged wood piles and noticed my blessing had worn off. You seem to have added a few things since my last visit. I love your instruction on how to reused brick to make a garden plant stand. 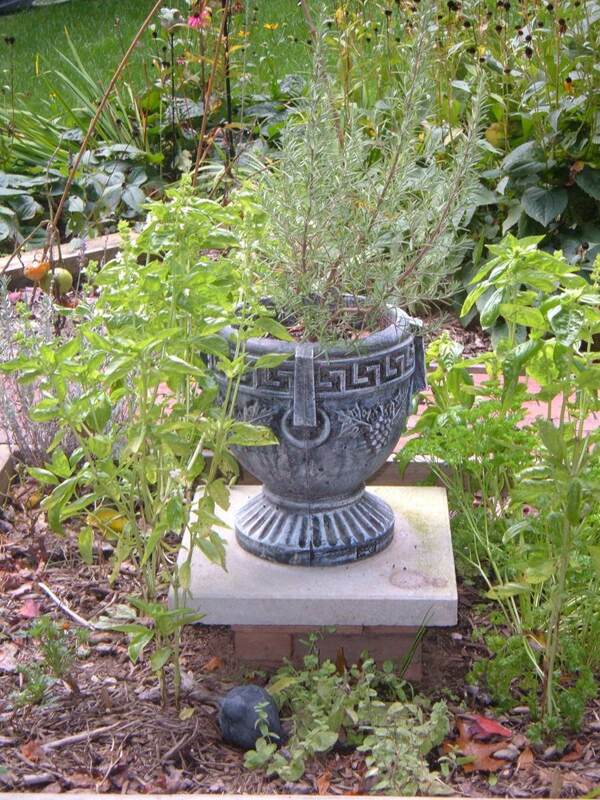 What a beautiful herb garden you have created! You have some great ideas. Salvaging and reusing makes sense. This is great information. Way to go on the recycling ideas. I love recycling and re purposing. Our homesteading life motto seems to be "what can that be used for now" we give scraps to chickens, peels to the goats, coffee grounds to the compost pile, even manure is recycled around here. 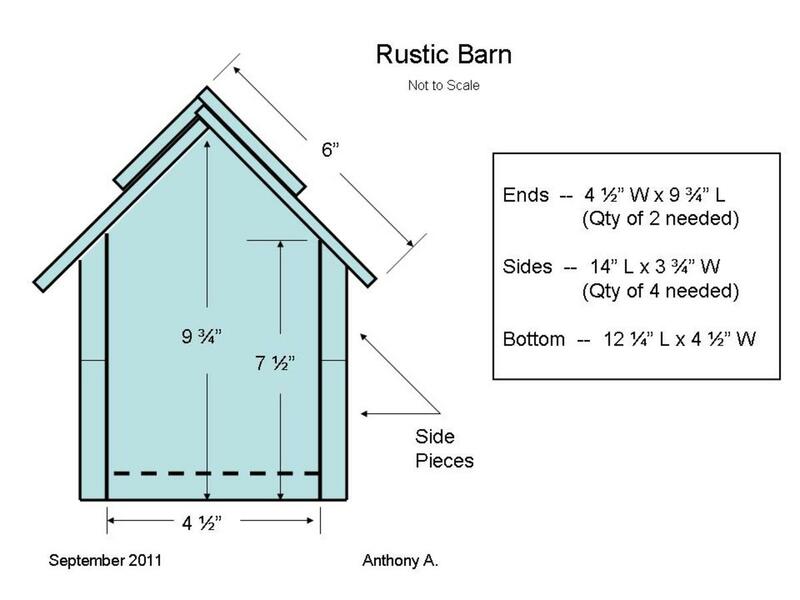 over on build a chicken coop do it there is a picture of a recycled shed we built! Recycling wood is a great thing to do for the wood worker. I did it with my first harps and will again. This is a great article showing how recycled wood can be used in so many ways. Love the pallet chair and barn wood nightstand. Sweet! I loved this article. It is amazing what we can create using recycled items. Your salvage lumber in woodworking projects is a great picture of what can be made using what otherwise would have been tossed out into the garbage. Wonderful. I often see pallets laying next to the dumpster behind our building. I wonder if anyone would be upset if I recycled them? Thanks for some great projects for me to tackle at home. Hi there, Great lens! I have used pallets quite a lot for my corner cupboard projects as backboards, Some of them are made from a type of oak that obtain a lovely silver patina. I also use reclaimed horse fence rails that have been shaped by the horses chewing on them I have just completed a lens about building one such piece maybe you could check it out and let me know what you think! Just one thing worth noting is that some pallets are treated with chemicals so be careful, I work in construction and see on a daily basis the amount of wasted materials that get thrown out so it is lovely to give new life to these quite often superior older materials. What an excellent idea! I think it's better to reclaim real wood than to buy new furniture made with that terrible particulate stuff. @gamecheathub: I'd love to have your friend's used fence resource. I'll bet he can transform the salvaged wood from the old fences into a great garden bench. @KiwiSanet: For smaller projects, it is surprising how much lumber can be salvaged from an old pallet. I found a clean, lightweight pallet today with boards almost 8" wide that will make several birdhouses. I do not think I will look at an old wood pallet as just a wood pallet again. The creative ideas video clip does have some great ideas! I watched it twice. Sustainability and recycling old materials are a huge trend in the L.A. area and is a hot topic of conversation with my friends. Here in Tulsa, I have a buddy who goes to fence companies and picks up the old fence parts that they tear down before replacing a fence. He uses the lumber to make shoe racks, furniture, planters and all kinds of things. Really cool idea and he gets the lumber for free. Fantastic lens. 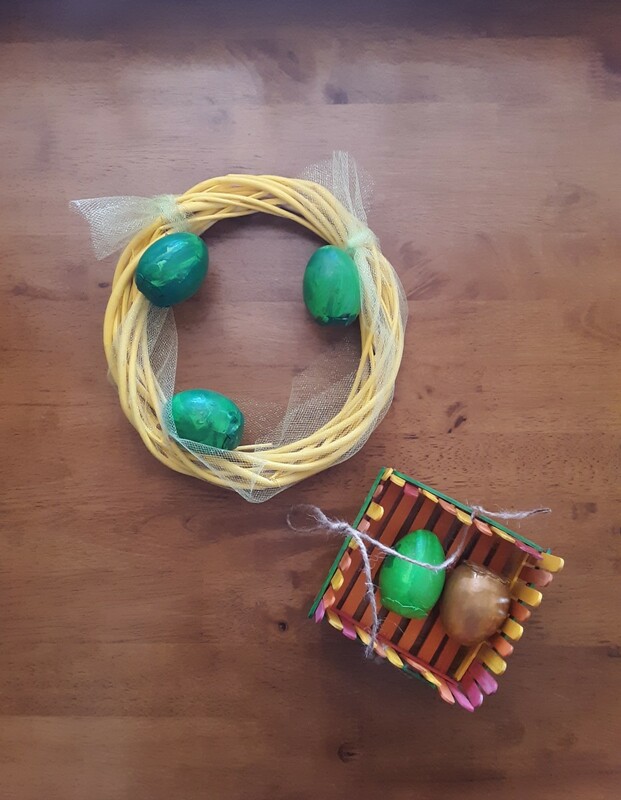 @lilymom24: I started by recycling small pieces for the garden too. Now, I build mostly birdhouses from salvaged wood but I have also made benches, planters, a compost bin and more. I've tried some reclaimed wood projects but not very complicated ones. May try the garden planter. @KimGiancaterino: I'm constantly on the look out for items and materials that I can recycle or re-purpose into something useful. Please share your ideas on how you use your old bricks. Thanks for visiting! This is great! 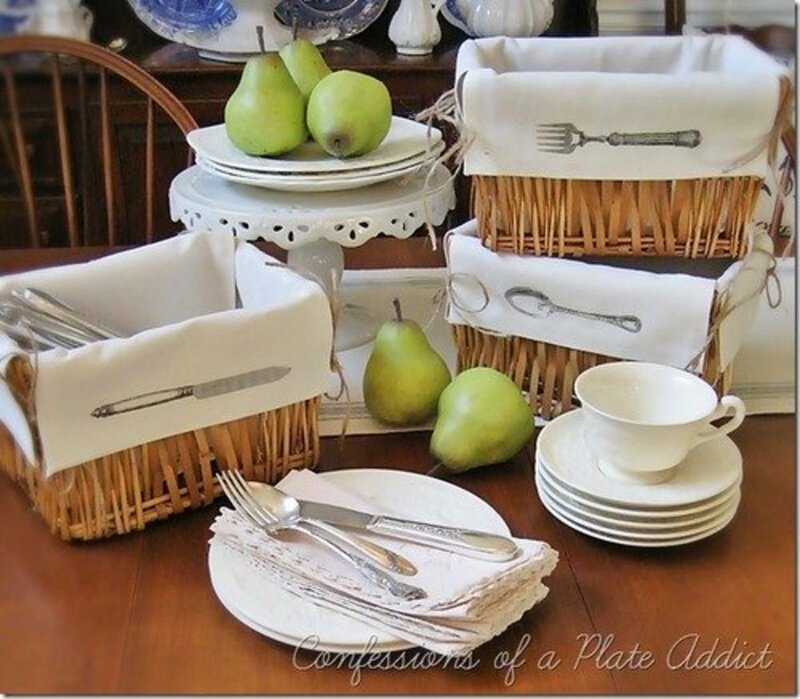 I love "re purposing" stuff other people consider scrap. For a cool thing someone did with a pallet - Taylor Guitars built a guitar out of one, and it's awesome. @Diana Wenzel: Thank you for visiting! I also really like the patina of aged wood, which can really add a lot of character to a woodworking project -- and save money! Your picture frame idea is a good idea for another lens on using recycled materials for creating new projects. I love salvaged wood and other materials for constructing projects. The patina of weathered wood is especially appealing to me. I recently used some old pallet wood to make the same kind of picture frames that cost over $50 in the craft shops. They fit right in with my mountain lodge/cabin décor. It's amazing what you can find (raw materials) and create with a little imagination. I always appreciate your DIY projects. Very nicely done! 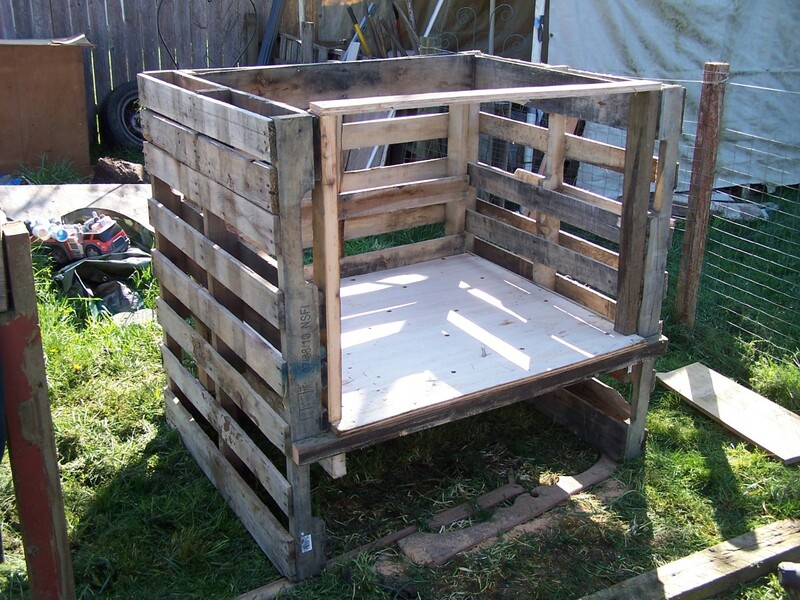 @hysongdesigns: These are great uses for old pallets, and I'll bet that they look better in your yard than in the landfill. My compost pile bins, garden and yard fencing are made of pallets just wired together; not pretty but gets the job done. Pallets are hanging around all over the place in my area and I wondered if I could use them for something. Thanks for the great ideas. My husband scavenges all sorts of wood to reclaim and recycle. Our garage attic is full of old hardwood flooring he removed from our home about 15 years ago. He's yet to pull out the nails, but determined to do so. He's also got a couple 20-foot barn beams from an old structure torn down about 5 miles from our home, and lots more odd bits in a shed out back. Waste not, want not! 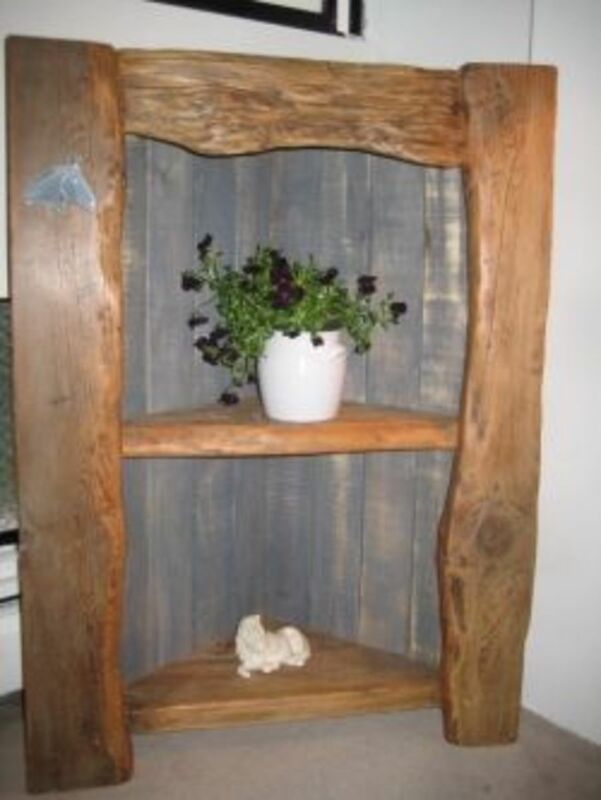 :) Thrifty, but practical ideas for putting salvaged wood to good use. Very interesting. Love the pallet ideas! I'm trying to get my husband to build some (simple) shelving, but so far, it's a no-go. Your expertise as a technical writer certainly does shine through as you give tips and directions that are concise and easy to follow. Your pictures finish the story off beautifully. right up my ally, thank you! I'd like to see more ideas for pallets, as I've used them for animal pens, fences, etc. Gotta figure out how to use them for a building!